Chiêm tinh học là các hệ thống bói toán giả khoa học dựa trên các tiền đề của một mối quan hệ giữa các hiện tượng thiên văn và các sự kiện trong thế giới nhân loại. Chiêm tinh học muốn dự đoán trước tương lai dựa trên tính toán sự chuyển động của các hành tinh, chòm sao,... (gọi chung là các thiên thể). ^ Carlson, Shawn (1985). “A double-blind test of astrology” (PDF). Nature 318 (6045): 419–425. Bibcode:1985Natur.318..419C. doi:10.1038/318419a0. ^ a ă Hansson, Sven Ove; Zalta, Edward N. “Science and Pseudo-Science”. Stanford Encyclopedia of Philosophy. Truy cập ngày 6 tháng 7 năm 2012. ^ “Astronomical Pseudo-Science: A Skeptic's Resource List”. Astronomical Society of the Pacific. ^ a ă Bennett, Jeffrey; Donohue, Megan; Schneider, Nicholas; Voit, Mark (2007). The cosmic perspective (ấn bản 4). San Francisco, CA: Pearson/Addison-Wesley. tr. 82–84. ISBN 0-8053-9283-1. ^ Pingree, David (1973). “Astrology”. Trong Philip P. Wiener. The Dictionary of the History of Ideas 1. New York: Scribner. ISBN 0684132931. Truy cập ngày 2 tháng 12 năm 2009. ^ a ă Zarka, Philippe (2011). “Astronomy and astrology”. Proceedings of the International Astronomical Union 5 (S260): 420–425. doi:10.1017/S1743921311002602. ^ Hartmann, P; Reuter, M.; Nyborga, H. (tháng 5 năm 2006). “The relationship between date of birth and individual differences in personality and general intelligence: A large-scale study”. Personality and Individual Differences 40 (7): 1349–1362. doi:10.1016/j.paid.2005.11.017. To optimise the chances of finding even remote relationships between date of birth and individual differences in personality and intelligence we further applied two different strategies. The first one was based on the common chronological concept of time (e.g. month of birth and season of birth). The second strategy was based on the (pseudo-scientific) concept of astrology (e.g. Sun Signs, The Elements, and astrological gender), as discussed in the book Astrology: Science or superstition? by Eysenck and Nias (1982). ^ Vishveshwara, edited by S.K. Biswas, D.C.V. Mallik, C.V. (1989). Cosmic perspectives: essays dedicated to the memory of M.K.V. Bappu . Cambridge [England]: Cambridge University Press. ISBN 0-521-34354-2. ^ ed. by Peter D. Asquith (1978). Proceedings of the Biennial Meeting of the Philosophy of Science Association, vol. 1. Dordrecht u.a. : Reidel u.a. ISBN 978-0-917586-05-7. “Chapter 7: Science and Technology: Public Attitudes and Understanding”. science and engineering indicators 2006. National Science Foundation. Truy cập ngày 28 tháng 7 năm 2012. About three-fourths of Americans hold at least one pseudoscientific belief; i.e., they believed in at least 1 of the 10 survey items"..." Those 10 items were extrasensory perception (ESP), that houses can be haunted, ghosts/that spirits of dead people can come back in certain places/situations, telepathy/communication between minds without using traditional senses, clairvoyance/the power of the mind to know the past and predict the future, astrology/that the position of the stars and planets can affect people's lives, that people can communicate mentally with someone who has died, witches, reincarnation/the rebirth of the soul in a new body after death, and channeling/allowing a "spirit-being" to temporarily assume control of a body. Holden, James Herschel (2006). 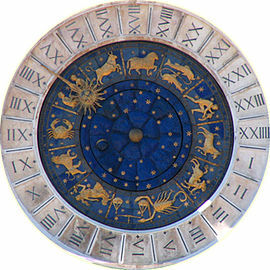 A History of Horoscopic Astrology (ấn bản 2). AFA. ISBN 0-86690-463-8. Long, A.A. (2005). “6: Astrology: arguments pro and contra”. Trong Barnes, Jonathan; Brunschwig, J. Science and Speculation. Cambridge University Press. tr. 165–191. Robbins, Frank E. biên tập (1940). Ptolemy Tetrabiblos. Harvard University Press (Loeb Classical Library). ISBN 0-674-99479-5. Trang này được sửa đổi lần cuối vào ngày 17 tháng 1 năm 2019 lúc 19:19.